I understand it clearly: the Dominion differs drastically from all my enemies here on Utopia – and not only due to its artificial origin. First of all, it stands apart from Kingpin and Kurbatov in its absolute lack of any human knowledge of good and evil. This ingenious and uncompromising machine considers all living beings as a mere set of resources and, guided by the simple principles of maximum effectiveness, can turn even the dead enemies into its servants. And today we’ve met a manifestation of the Dominion doctrine. 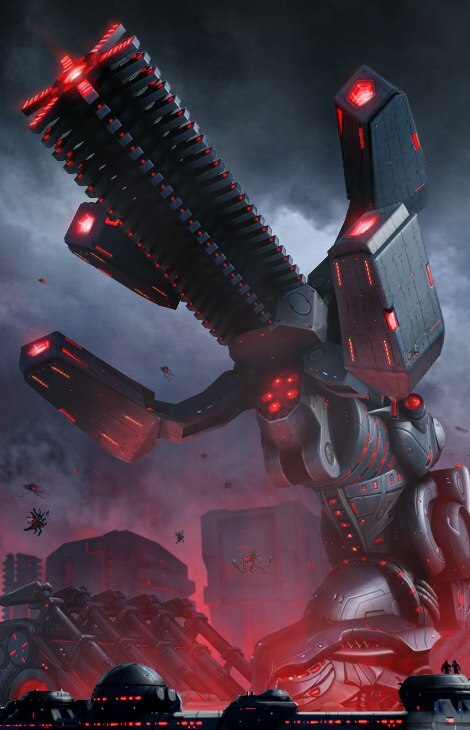 At first I wasn’t much impressed with the synthetic soldiers: I well remembered the giant size of the Dominators that we had seen earlier and was ready to fight against more impressive steel leviathans with my ballistic missiles as the ultimate answer and weapon. But the infantry is the backbone of an army, and the Dominion forces turned out to be no exception for sure. The Synthetics acted simultaneously and assuredly, their attacks coordination resembling that of the Kurbatov’s soldiers. 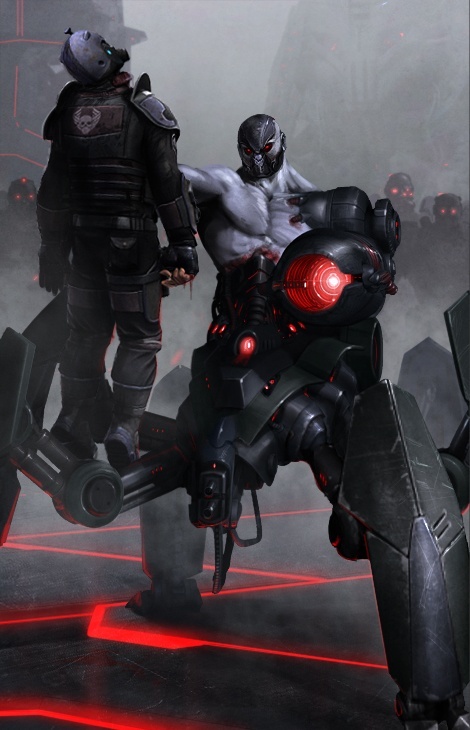 However, when those ones were guided by their own combat skills, though together with cybernetics, the Dominion combatants fought like puppets manipulated by an experience puppeteer. All their movements were abrupt and sharp, always within the bounds of the obligatory minimum. No one moves this way – except machines. Though the Anderson’s sensors had fixed some vital signals, it was evident enough that the Synthetics were not living beings. They weren’t even cyborgs, but the machines created of human bodies. Why did the Dominion decide to use such a fragile material as semi decomposed flesh? And then came the answer: the fresh wounds inflicted by my weapon were closing almost immediately on the Synthetic bodies, and I had to destroy the life-support system completely in order to defeat any of these creatures. I’ve already seen something like this – the regeneration process much resembled the effect of the healing emulsion used by the Legion paramedics. Maybe, the General had just used some of the captured innovations… But now I have no doubts: the Dominion is able to use this technology much more effectively. I bent over the remains. The black metal with fire-finished edges, the diodes blinking slightly and fading away, the microchips smoking in the depth of the steel body… And nothing resembling living tissues. After my encounter with a Synthetic, I was ready to look under the armor and see the flesh of a hideous spider merged with the mechanical viscera of a cyborg. But inside I found only the complicated electronics. The Dominion has perfectly copied the Xi Spider form, having taken the best of it, but avoided all the organics. What for? Maybe, the Dominion calculated that the efficiency of the Spiders would be the maximum if to sacrifice the Synthetic regeneration for the metal armor. Success always has its price. And I guess, the Dominion understands this very well and is able to make profit even when getting rid of these or those abilities. However, maybe, the Dominion isn’t really able to operate with the Xi biomaterials as well as with the human ones… And simply replicated Xi Spiders using its own technologies, without turning them to Synthetics. 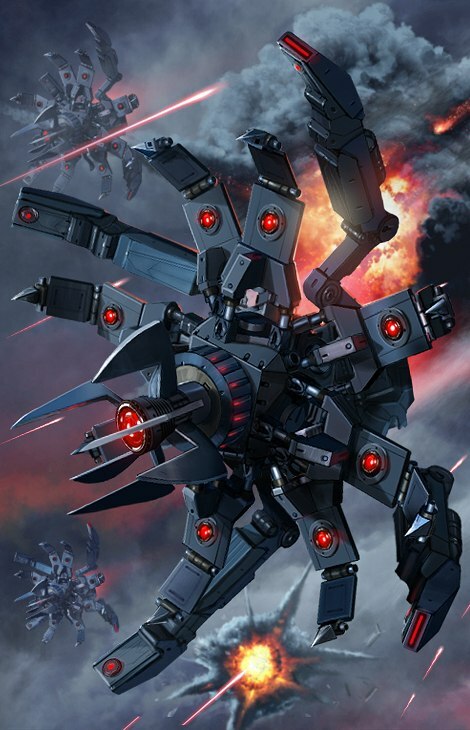 Anyway, I’m sure that the creation of the Arachnid Dominator has been dictated by incredible practicality! Instead of inventing something new, the Dominion has used well-tried methods and then simply improved and developed them. The machine acts… like a machine. Rationally and with maximum efficiency, without errors! In case of a prolonged war, mankind is not likely to defeat such an impeccable opponent. 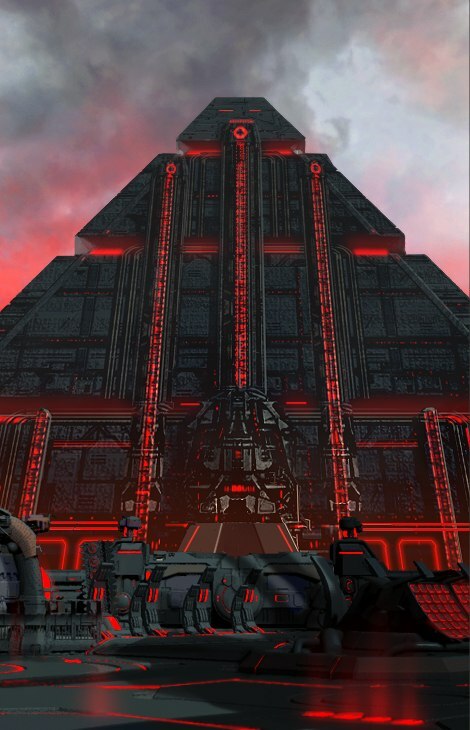 We have to destroy the Dominion here on Utopia and prevent it from going beyond the planet bounds at any cost. What a huge Dominator it was! We met the remains of this robotic model long ago, in the days of our war against the Black Legion… The time came, and the reality turned out to be almost more frightening than any of my fears – I hardly left that battle alive. When my enemy fell onto the ground at last having received critical damage, Elizabeth and Margaret rushed to examine it. Margaret found no evidence that the Tyrant possessed any regeneration abilities. However, such a conclusion could have been drawn without their rummaging in the burned debris: in our battle, the monster didn’t regenerate itself, but special robotic technicians were repairing its hull right under the fire! Their actions were unbelievably fast and efficient. 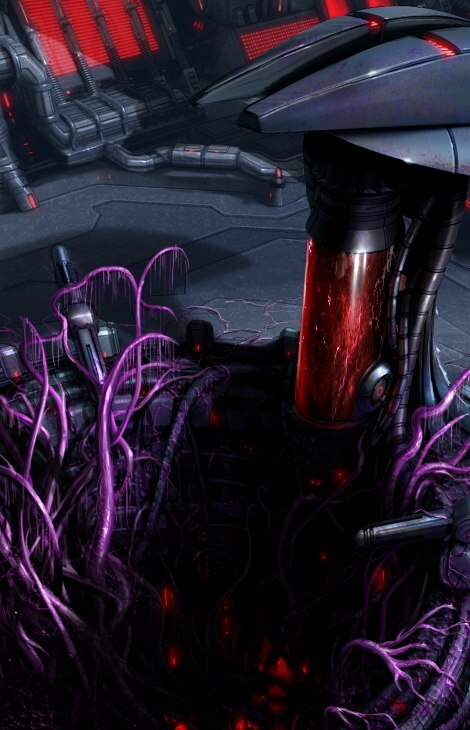 Our theory has been confirmed – the regeneration is a feature of only those cyborgs that, like Synthetics, have organic components in their construction structure. Meanwhile, Elizabeth can’t make peace with the fact that she failed to decipher the Dominion and Tyrant conversations intercepted before the battle. She hoped she would find a key to the cipher in the memory of the defeated robot, but the overmind is damn good in protecting all the important information. We can only guess what the Dominion told the Tyrant… or what the Tyrant said to the Dominion?.. We have failed to decipher the transmission, but we know for sure that this wasn’t a single-sided reception, but a data exchange more resembling a dialogue. But what is the reason to conduct a dialogue with a machine in your complete subordination? Elizabeth reports that the microchips responsible for the Tyrant decision making and operational logic have large memory capacity and are quite complicated. Can the hull of the bloody machine hide a conscience? Let it be, artificial, but independent and sophisticated, after all. 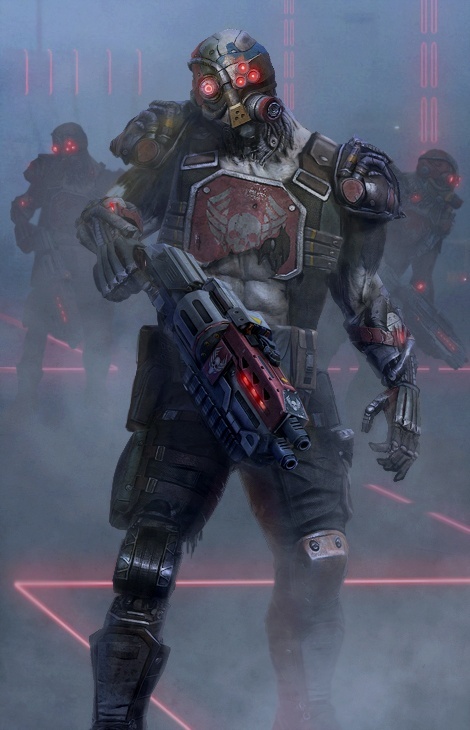 Maybe, in the Dominion army Tyrants are the commanders, robots with their own intellect and the right to make a decision, able to control combat operations more efficiently than from the center. However, I’ve dug too deep into my theories. No time to lose – better to go and take the batteries out of this hellish electronic toy called Dominion! This shiny ball resembled a giant Christmas decoration until it opened its insides stuffed with fire and death. After the battle Margaret examined the remains and explained that this weird look was just a result of the “smart-use” principles. 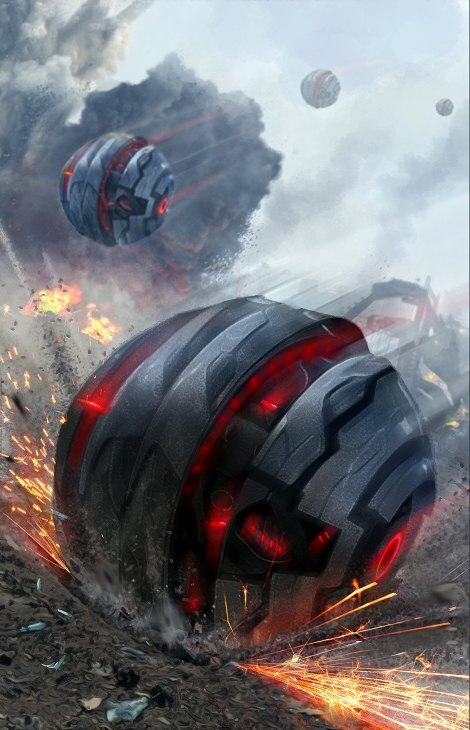 However, what else we could expect from the Dominion… Cyclones take the spherical shape for faster transportation, special weapons shooting them like ancient cannon balls directly to a combat operations area. True genius lies in simplicity: it takes them almost no time to cover a distance of a dozen kilometers. This mobility enables the Dominion to control significant areas with a small number of forces. And if regular shells bring destruction only when they hit, for Cyclones this is just the beginning – as soon as they land, they start spraying burning metal all around. 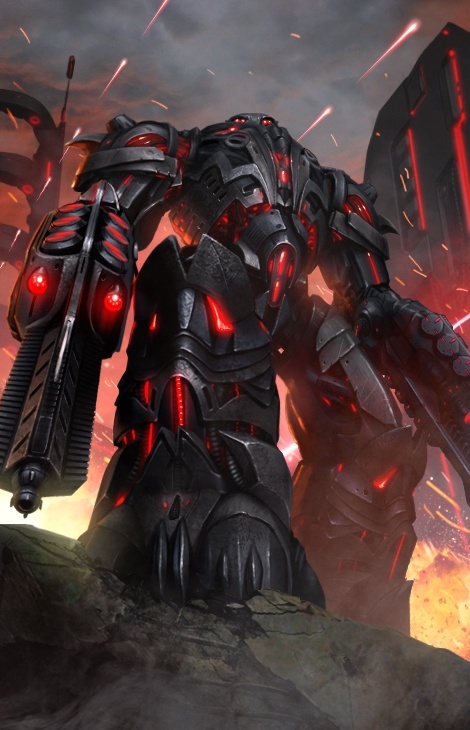 What is more, you can imagine the hardness of their armor if they can endure such long “trips”: you need more than significant firepower to hit a Cyclone. Luckily for me, I had an answer – otherwise this ball would have merrily and easily rolled over my charred bones. We got used to surprises while traveling across Utopia. Hideous, infernal creatures, mystical obelisks looking unlike anything on Earth, giant killers robots… However, when I saw the distant shape of this pyramid, I wondered whether I was hallucinating. The object seemed too huge, too odd, too mysterious and… a little bit terrestrial. Its shape resembles that of the Egyptian pyramids. But here the similarity ends: it is a true creation of the Dominion rational genius and should be something functional, but not a mere monument or decoration. From time to time, the gaps in its hard armor are glowing with an ominous blood-red light, as though the flames of the underworld are blazing inside. I requested Anderson to determine the functions of the pyramid and whether it could be a threat. After examining the construction, the engineer made the conclusion that it posed no danger. At least it’s not weaponry. However, inside of it, there is some complicated equipment, producing the magnetic field being registered by our sensors. Anderson has studied the readings and concluded that the pyramid might be a galactic-scale beacon. Such a beacon can transmit signals far beyond a local star cluster, providing accurate position data to the spaceships that left a planet and are making their way back. But the planet in our case is Utopia, and the beacon is a creation of the Dominion. So, where does the ingenious machine want to send its space fleet – and what for?! I came cautiously to the edge of the crater, trying hard not to slip over the thick slime. The edges bound in steel, the cross section calibrated to the nearest millimeter, the motionless huge drill – everything was covered with interlaced straggling purple stems. Here one could see the very confrontation between newest technologies and ancient powers, impeccable logic and cosmic chaos, practical calculations and indomitable energy. In this fight, the Dominion had to retreat: the metal was all in cracks, widening right in front of my eyes; even the surface under my feet was slightly trembling – like the skin of a giant beast. It seemed like I physically felt that hostile power pulsating in the depth beneath. The power, able to destroy this whole planet for a warm-up. The Dominion told me that Xi is its primary objective, threatening to the “destroy everything” order execution. Considering that sooner or later Xi would break out of the prison, the Dominion chose the “attack first” strategy and… Lost the first battle. Apparently, the power of the universal evil called Xi turned out to be beyond the calculation abilities of the supercomputer. Anyway, the Dominion army had been flung back and Xi got an opportunity to use the shaft and return to the world earlier. And then the Dominion faked the information leak and made me come to this very sector – me, as I am the only one on this planet who is able to provide a reliable deterrent to Xi – the terraforming technology. It is frustrating to feel like a pawn in the game of the crafty machine, but the game was good, after all. If there was a cybernetic hell, these dogs would watch the robot sinners in it! 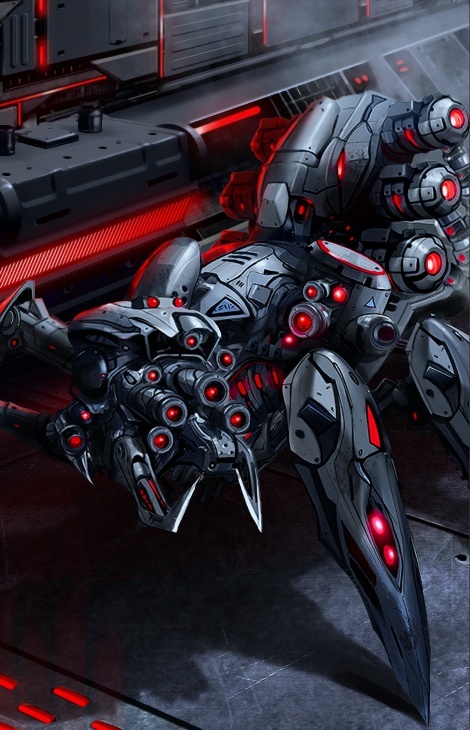 The paws with hydraulic joints are controlled with a dozen of processors, the head is equipped with an entire rapid-fire battery, the tail ends with an electromagnetic weapon. My Fido can show his teeth too, but, against a Dominator Hound, he would look like a toy poodle facing a wolf-dog! 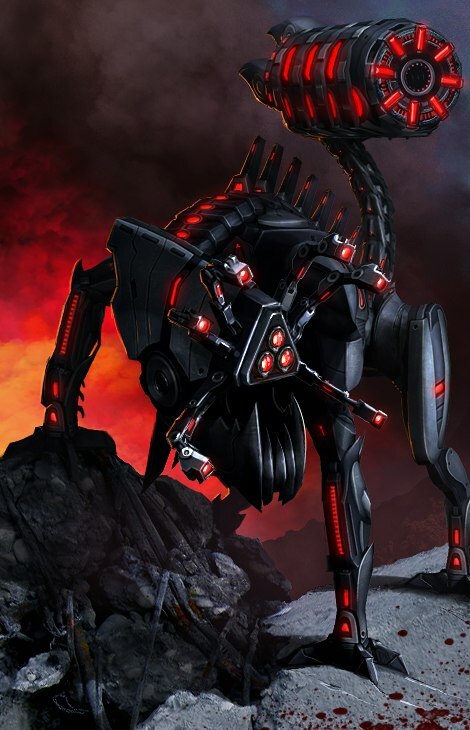 It seems like we are witnessing a new step in the artificial evolution of the predators being developed by the Dominion. At the beginning it used the existing organisms, turning them into the regenerating Synthetics, obedient to its orders. Later, it started the production of more quality analogs and replicated Xi Spiders, having given them the flesh of the toughest alloys. However, the Dominion is a self-learning system – and not without reason. Apparently, it never stops learning from its mistakes, gathering new data and looking for more and more effective solutions. And now it has reconsidered the findings of the mother nature, added the upgraded combat technologies and designed a new beast to its own liking. As a result, there has been created this ideal machine for pursuing and rushing an enemy. A pack of these Hounds will easily hunt down any of the Earth heavy military vehicles and drive any prey out of the most fortified hole. The farther we go to our destination, the less human is left in our enemies. Some time ago, every time I saw a bandit through my scope, I was reluctant to pull the trigger, thinking that it would have been better to end the conflict without any bloodshed. 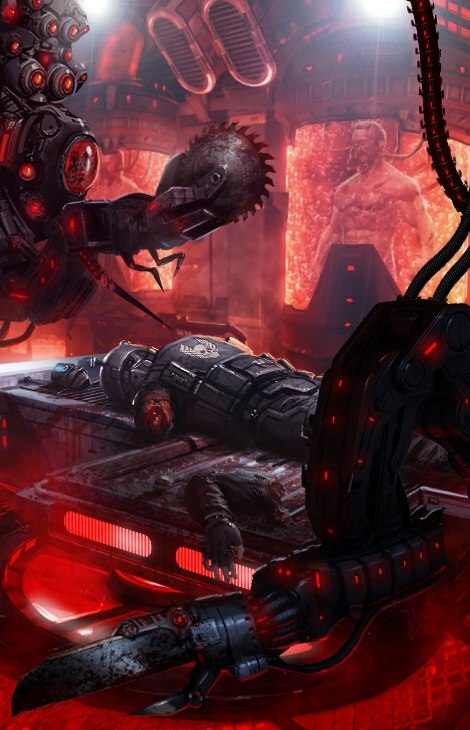 Not long since, sending bullet after bullet at a Black Legion soldier, I understood that a death in a fight would give him an escape from the pain caused by his brain implants. And now all such thoughts are gone. Now I fight against a lifeless, inanimate enemy that understands only the language of war. And the Incubator has cleared my last doubts. After the mop-up of the surface, I took fifteen minutes to examine the inside of one of the buildings. What I saw there in the scarlet twilight would have scared a more impressive man enough to lose sleep. Even I, the one who had passed through all the terrors of Utopia, felt ill at ease. One thing is to fight with biorobots that have been already transformed into battle machines, and quite another thing is to watch the steel tentacles stretching human bodies on frames, the mechanical hands operating with scalpels and needles, and the dead coming back to life, altered by the Dominion will in their ruby-red sarcophaguses. Their lens eyes were not blind – I could feel their cold, focused and hostile attention. Nevertheless, the Dominion did nothing to stop me, as if willing to show me its greatest creation – a human recycling plant. The Synthetics being produced here would have been enough not only to destroy all the human factions here on Utopia, but to wage a full-scale war against armies as large as there on Earth. Now I can only guess what enemies the Dominion is to fight in the nearest future, but I am almost certain that the ambitions of this computer are far beyond the bounds of Utopia. Naturally. I felt something wrong when we crossed paths with a large group of nominators-Technicians. Before that I had met them only in mixed battle groups – they had been repairing other robots never being engaged in a fight Mere servants, corpsmen of the steel fighters of the Dominion. And these ones kept moving in a pack as if patrolling the area. However, after all, why should we be afraid of old repairers that weren’t even equipped with weapons? This carelessness nearly killed me when I allowed one of them to come too close… A shock wave knocked me off my feet my eyes darkened and ears deafened as if filled with lead – that was the suicide Technician having exploded in the air! They were rushing forward, one after another, the same way as Bombers – only the spiders’ ventral sacs were like mere firecrackers in comparison with the charges of these rabid repairers. It was just a miracle we fought them off… The Dominion taught us a good lesson again – and now III be looking through the scope at any tin under my feet. The evolution of the Dominion creations never stops, It knows neither deadlocks nor completion. The computer keeps developing new types of Dominators, yet never forgetting about its earlier models -nothing is wasted, any idea is being brought to perfection. Minimum costs, maximum efficiency, and flawless calculations. The outdated Dominators-Technicians could have been put on the scrapheap, but the Dominion is much too rational for this. Instead, it has upgraded them to one of the most destructive weapons I’ve ever met here on Utopia. Our enemy is getting more and more dangerous with each fight! Anderson and Elizabeth cannot but shake their heads with admiration, and as for me, I keep mentally preparing for new unpleasant surprises. 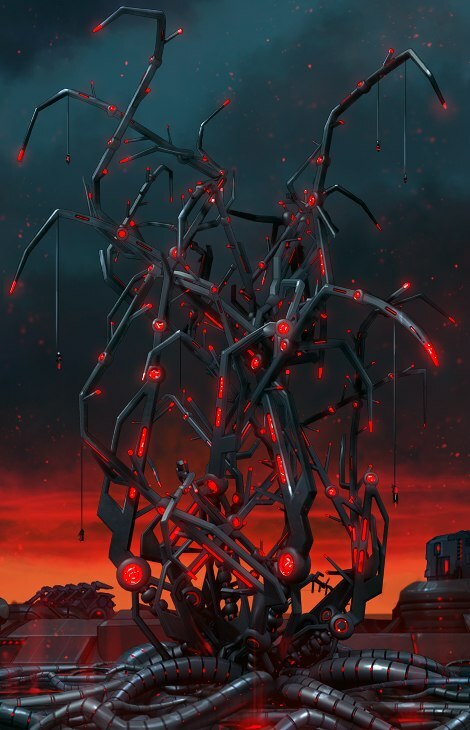 The construction resembled a wide-branching metal tree with the roots going down into the planet’s depths. Anderson cut one of the “branches” with a laser cutter and I grabbed that thing at once, ignoring the Elizabeth’s warnings. A sort of silver liquid appeared out of the cut riddled with cells like the ones of a real plant and ran over my fingers. A second after the first traces of corrosion appeared on my glove. I decided that it was some strong acid, but a mere glance into the Elizabeth’s microscope made me dumb. My glove was covered with something like plant lice – nanodominators, scrupulously splitting the crystal lattice field of the metallized fabric! However, Elizabeth compared them not to plant lice, but to busy bees gathering honey in the Utopia’s depths. Billions of these nanobots continuously extract the molecules of different substances, including those of the most rare elements, out of the soil and transport them upwards through the “roots”. At a most conservative estimate, the daily transit volume runs into tons! The monstrously-giant laser emitter was towering up against the grey sky, casting its shadow as if across the whole Utopia. This was the weapon that had downed my ship. And this beam, able to atomize the pride of the Earth space fleet, had almost ended my life. Was it a mistake when the Dominion hit the MOROSE without inflicting any damage to the modules with our rescue capsules? Or did the machine intentionally let me and my people go safe? No. I would never suggest that a computer, even the most perfect in history, could have used me as a mere pawn in its game. No, I played with it as an equal and I won. Use grenades and energy weapons to destroy armored targets.